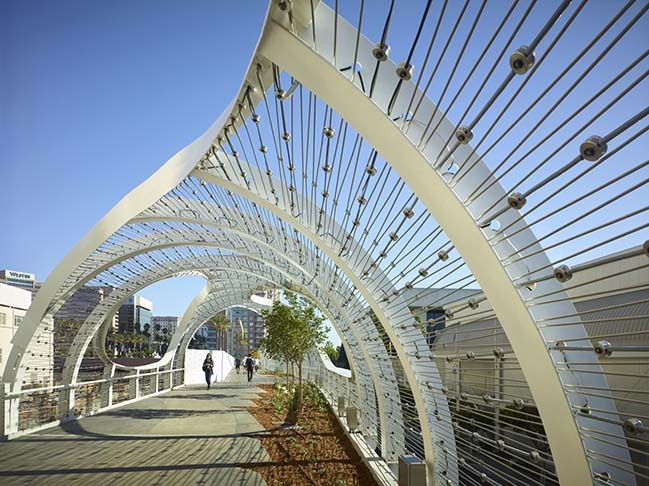 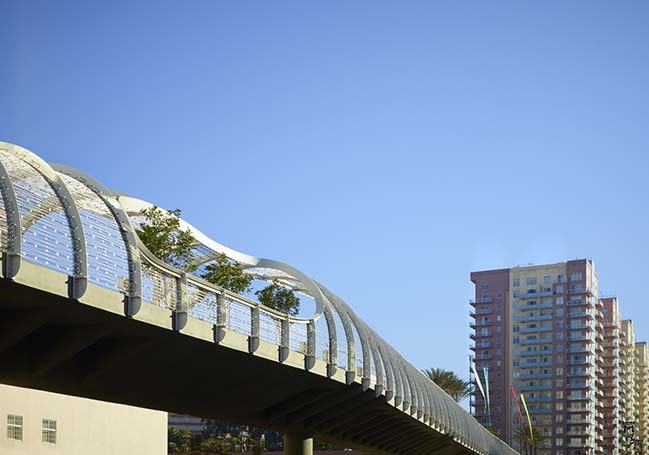 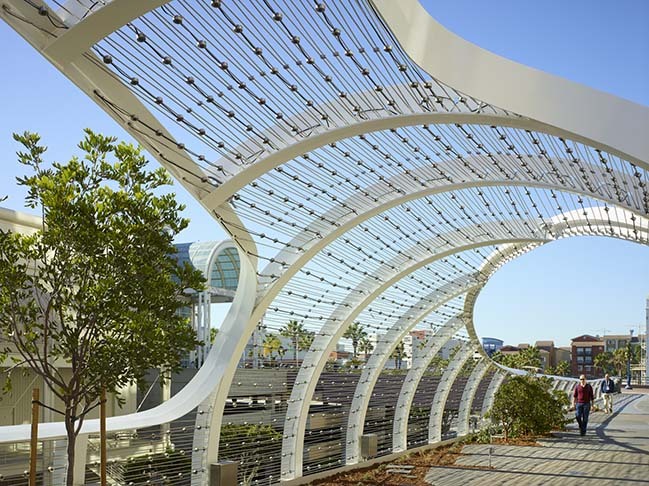 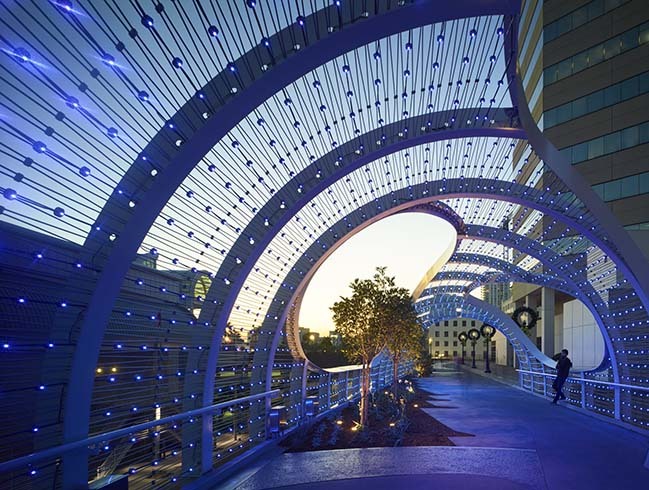 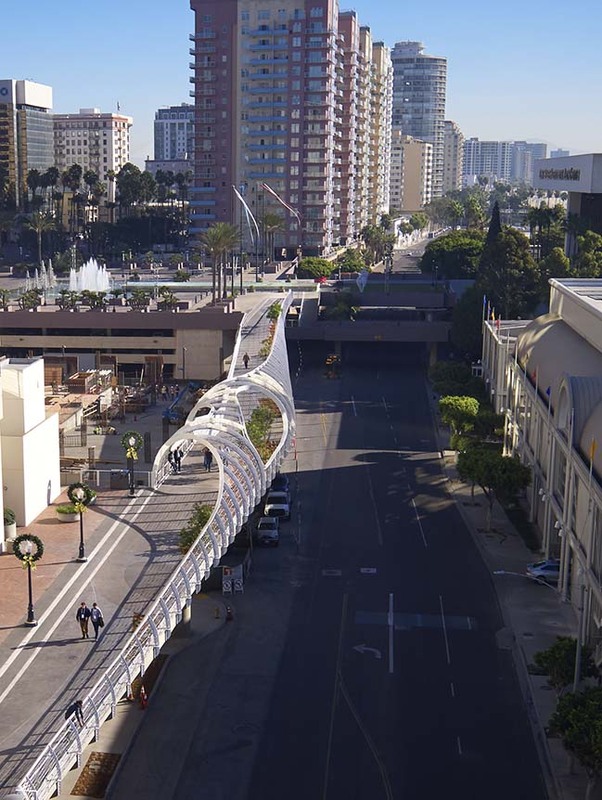 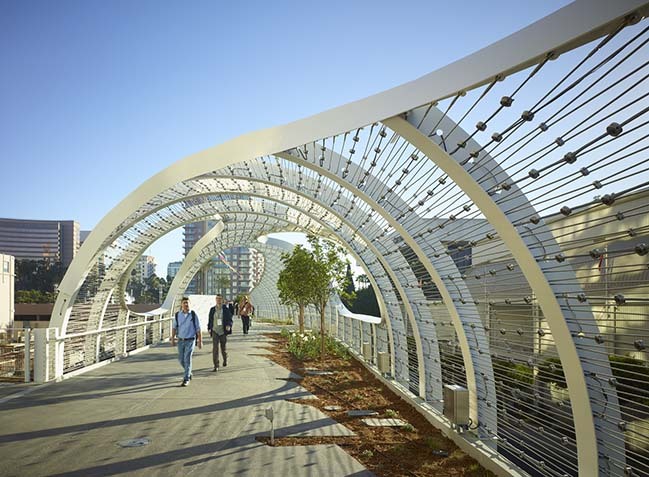 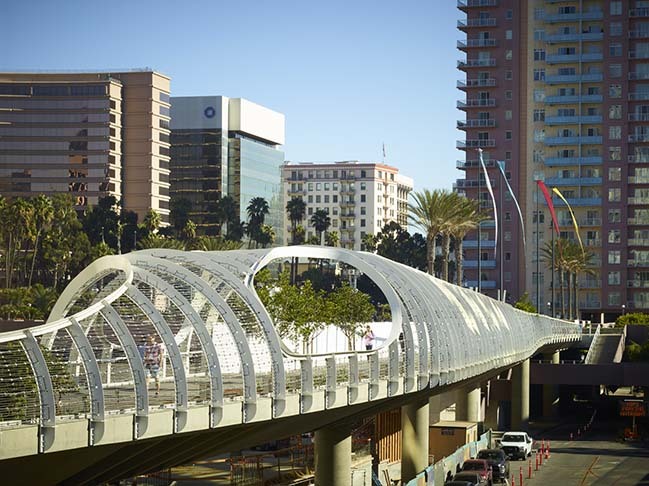 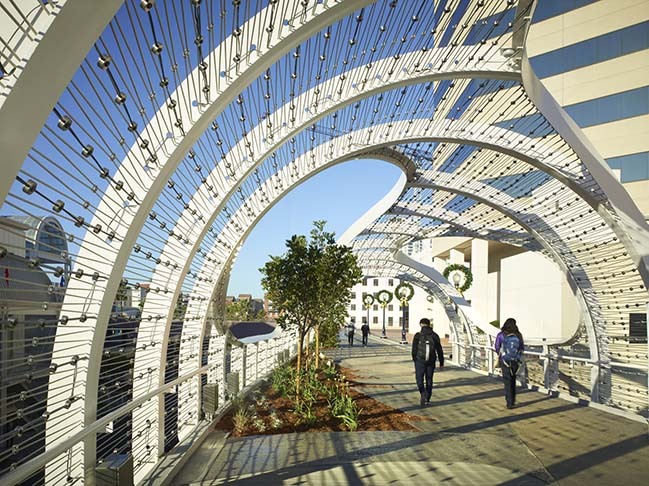 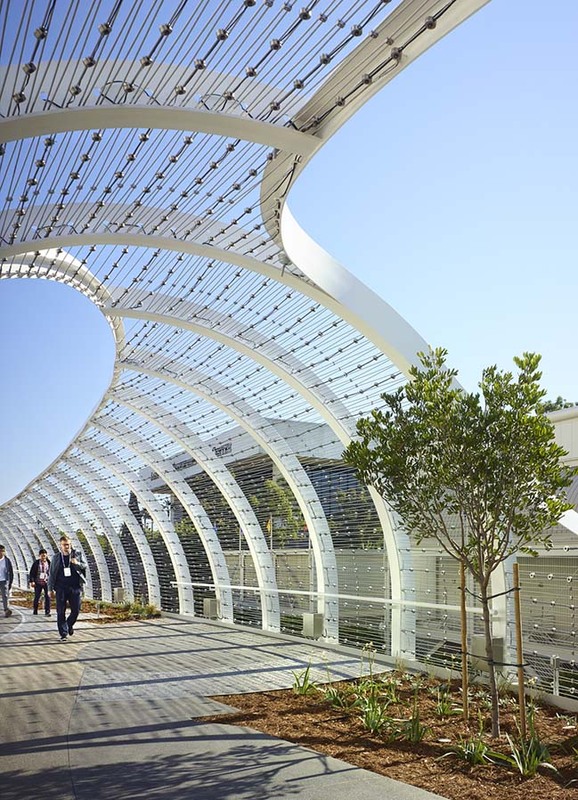 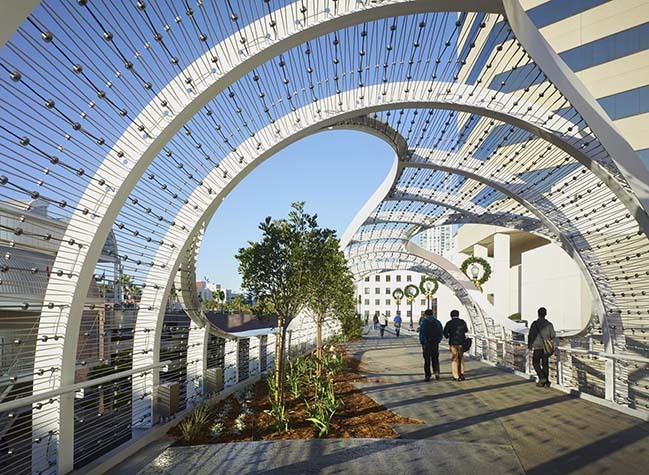 SPF:architects (SPF:a), an award-winning design studio based in Culver City, is excited to announce that the Long Beach Seaside Way Convention and Performing Arts Center Pedestrian Bridge, or “Rainbow Bridge”, is now open to the public. 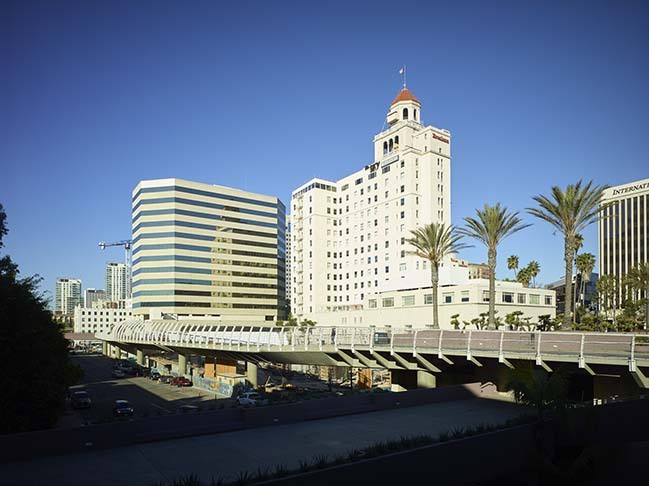 The project provides a new connection between two important Long Beach destinations. 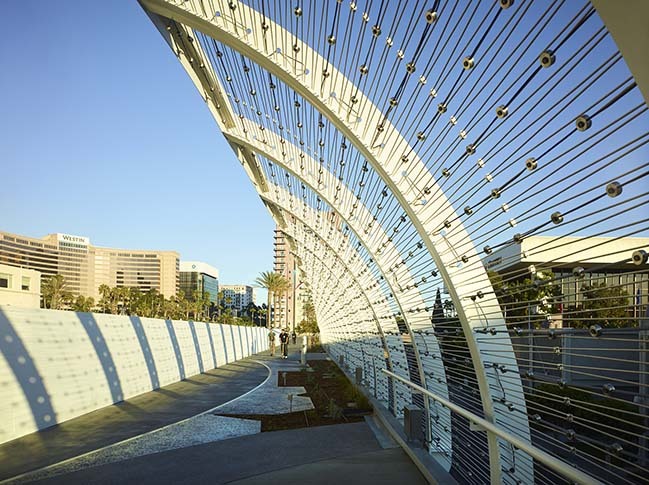 From the architect: SPF:a was chosen in 2014 for their proposal to create a direct, public connection between two major Long Beach venues: the Long Beach Convention Center and the Long Beach Performing Arts Center. 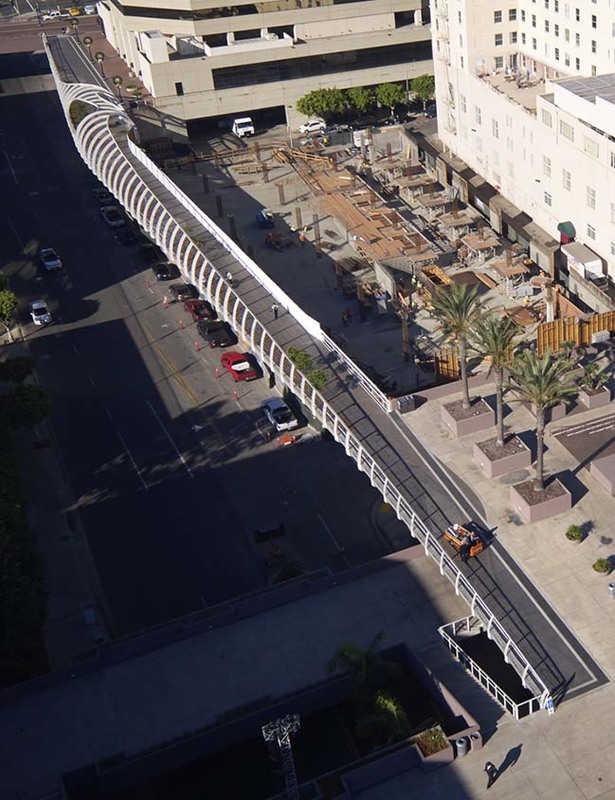 Before the construction of the bridge, moving between the two destinations demanded climbing numerous flights of stairs and crossing a stretch of Seaside Way dominated by loading docks and HVAC equipment. 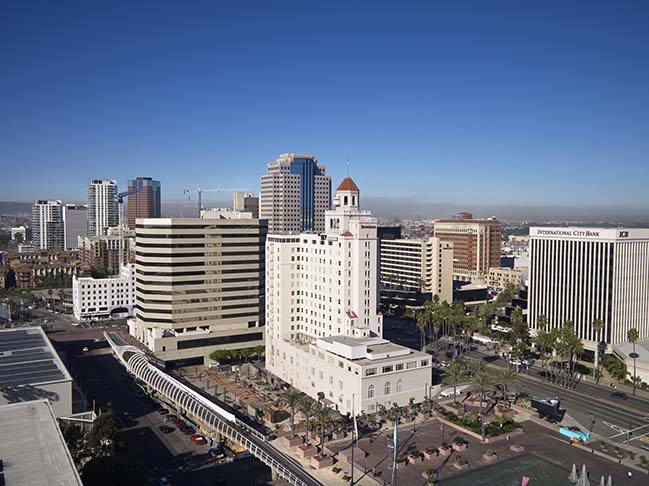 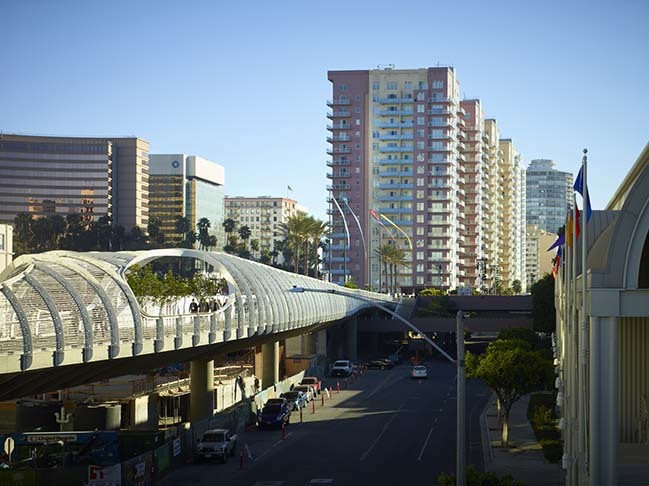 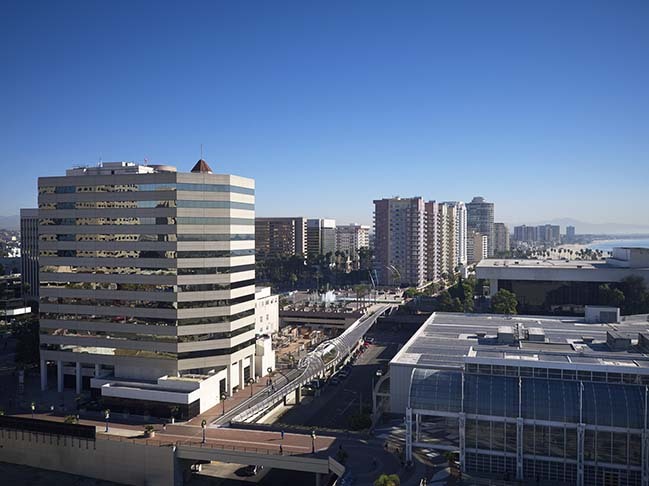 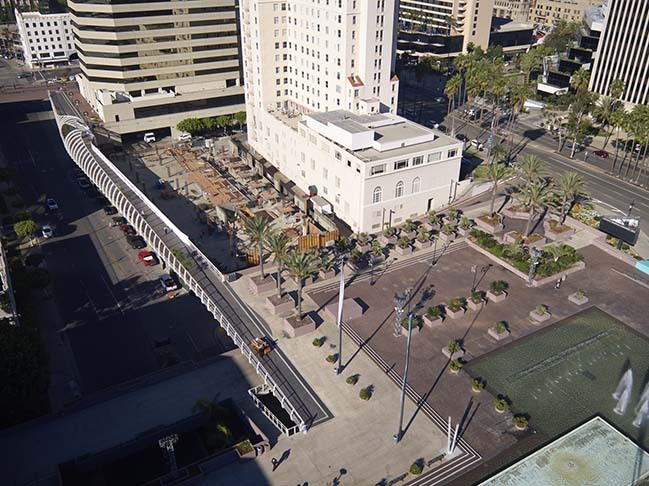 The initial solution proposed by SPF:a was to build an elevated sidewalk between the two centers, but following an overwhelming response to the RFQ issued by the city, founder and design principal of SPF:a, Zoltan E. Pali, FAIA, along with the City’s Public Works Project Manager, Eric Lopez, and the CEO of the Long Beach Convention Center, Steve Goodling, chose to pursue a more complete public amenity. 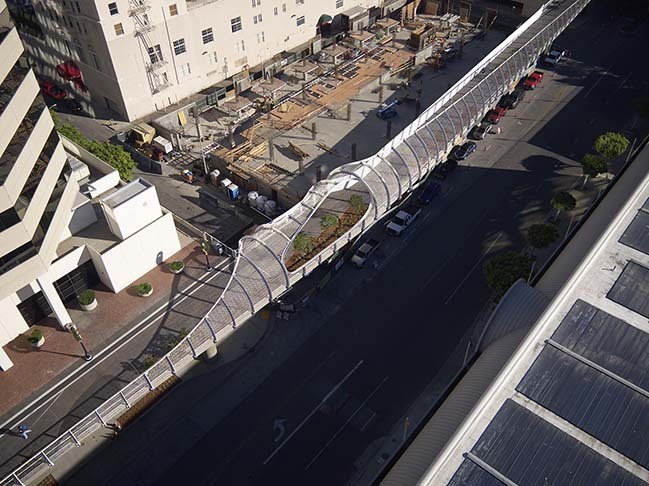 The final form was, however, influenced by budget constraints and the pending development of an adjacent lot. 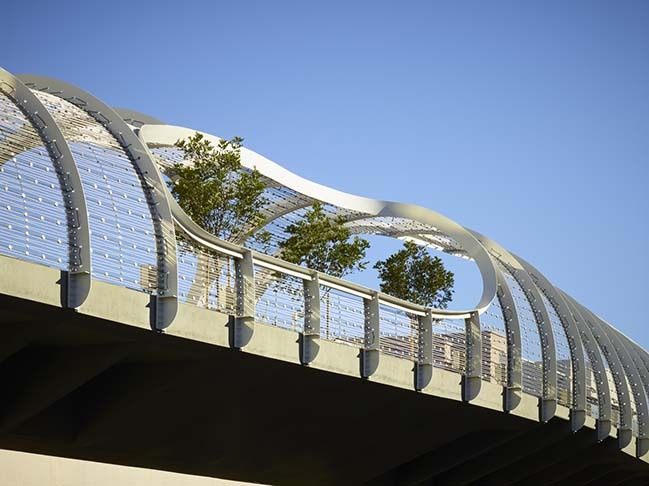 SPF:a brought the overall cost of the project down to $10 million by simplifying the steel geometry and modifying the concrete profile of the bridge. 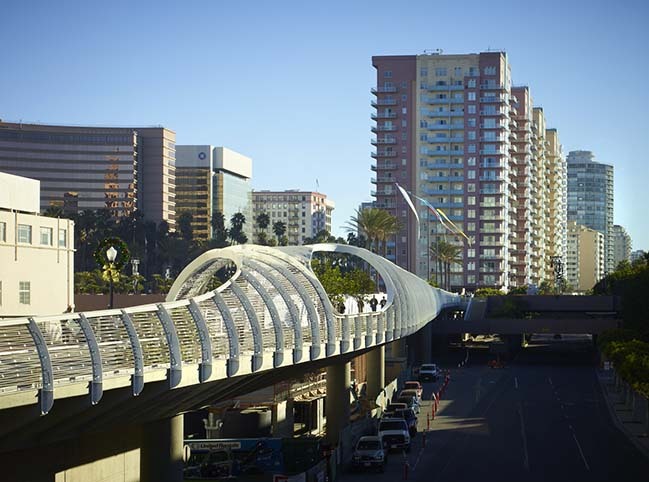 Prior to construction, the bridge called for 80 or more uniquely formed concrete rib beams. 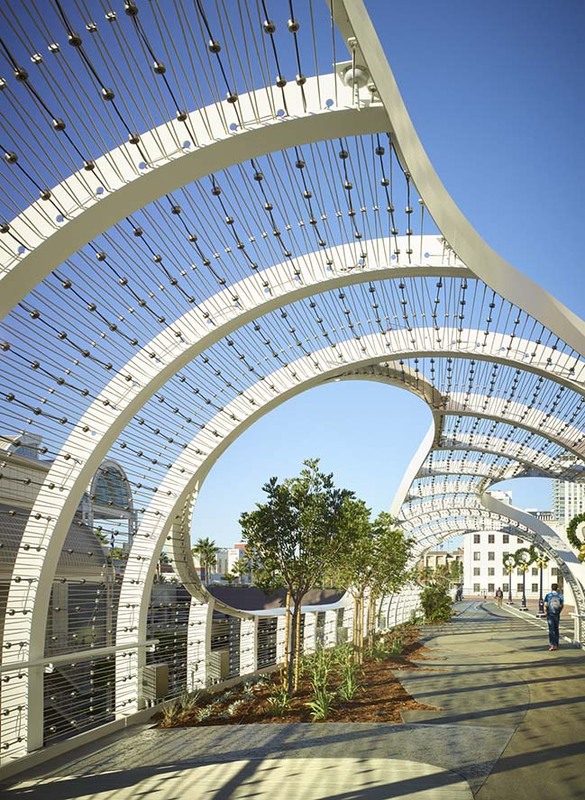 The design team was able to optimize the geometry in such a way that just one concrete shape could achieve a similar dynamic form when placed in repetition. 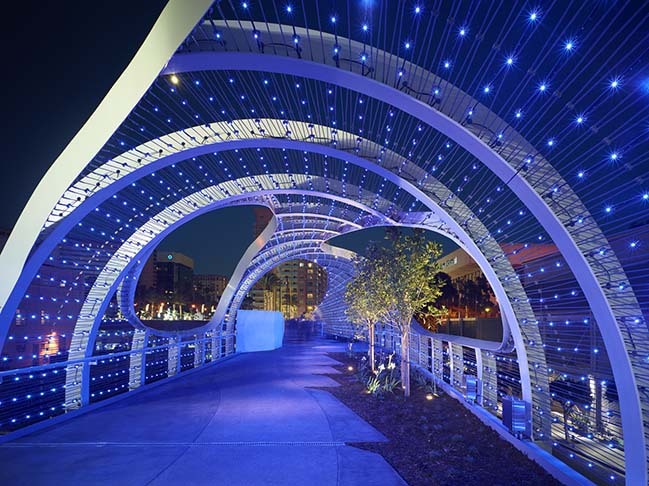 Rainbow Bridge has already received the Honor Award from the American Council of Engineering Companies of California for Engineering Excellence.